Ben Kobrin is a Montana State University student from Williamstown, Massachusetts. After graduating from High School in 2012, Ben spent time working at The Sterling and Francine Clark Art Institute as a visitor services supervisor. He then worked in the Automotive industry as an Automotive Journalist and as an Internet Coordinator for a BMW, Audi, and Volkswagen dealer in Massachusetts. After working in the industry for a few years, Ben decided to return to school to obtain an engineering degree. Ben is currently a junior as of 2017 in the mechanical engineering program at MSU. While he is now focused on obtaining his engineering degree, Ben remains proficient and interested in business. As the son of an entrepreneur, the importance of possessing business acumen has always been apparent to him. In his free time, Ben likes to ski, mountain bike, dirt bike, autocross, hike, and fish. He plans to stay in the city of Bozeman for the foreseeable future after graduation, as few other cities offer access to all of the above activities while also harboring a thriving local economy. 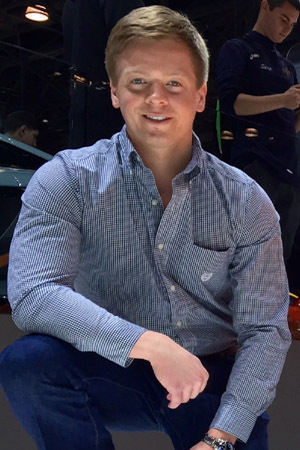 Interning at DFman Enterprises has given him the opportunity to refresh and further improve his business and marketing skills while continuing to pursue his mechanical engineering degree.